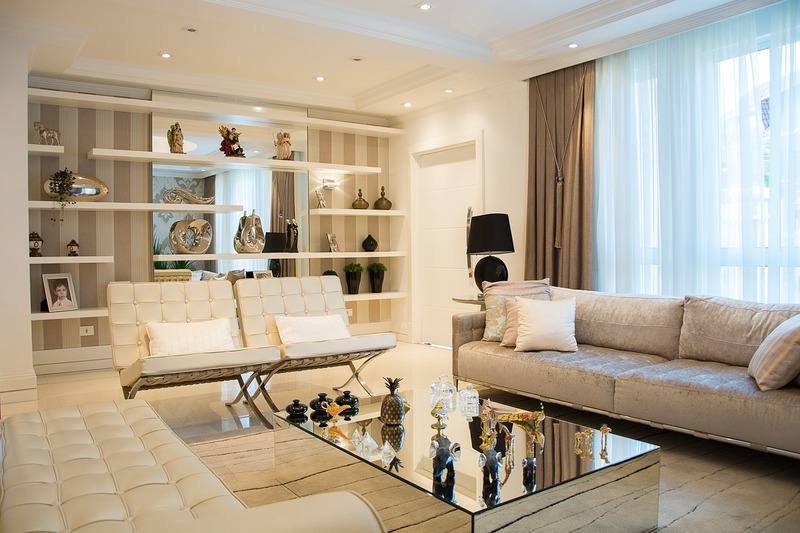 To understand which methods you should use to light your home, you need to first understand the role that each type of lighting (such as ambient lighting, accent lighting, and task lighting) plays in your home. Ideally, you want to layer your lighting so that the whole room is lit to your liking. 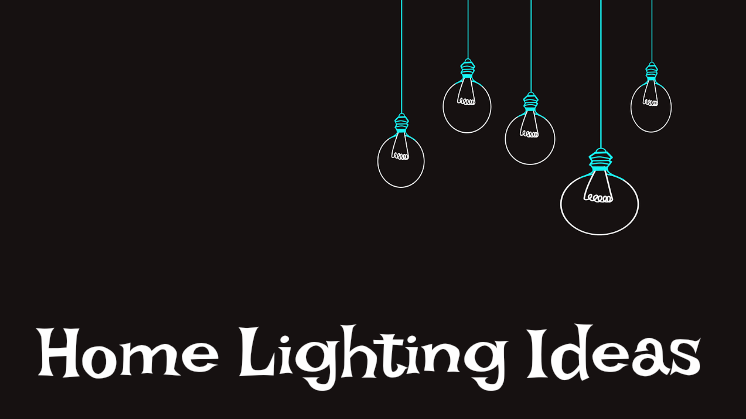 By understanding how, where, and why each different type of lighting is used, you can get a better idea of how to use all the home lighting ideas in a way that suits your home. No two rooms are the same, and simply implementing something you’ve seen on Pinterest in your own home may not yield the same beautiful effect. Ambient lighting is the overhead lighting that creates the mood or atmosphere in the environment. It’s the overall illumination, usually achieved by ceiling or wall-mounted lighting fixtures, that provides the room with its main source of light. It is therefore a fundamental component of your room plan, and needs to be the first thing that you consider when it comes to the general lighting and layout of your room. The brightness level should be comfortable, not too dim and not too glaring, so that you don’t have to strain your eyes to see naturally. Accent lighting is used to draw focus to specific areas or objects. It can be used to create a focal wall with backlit shelves to highlight your decorative pieces, artworks on the wall, textures, colours, or particular items of furniture. Maybe even memorabilia or a collection of your favourite things! Its attention-grabbing nature can be used to display your favourite elements of a room and help them to stand out by lending that space some extra light to draw the eye. Accent lighting provides additional illumination to your chosen focal points, or can also provide a focal point in itself. Generally, it plays a decorative role, adding subtle visual interest that is often understated. Task lighting illuminates work spaces, such as desks or counter tops. It serves a practical purpose, to allow you better vision in order to complete specific activities. 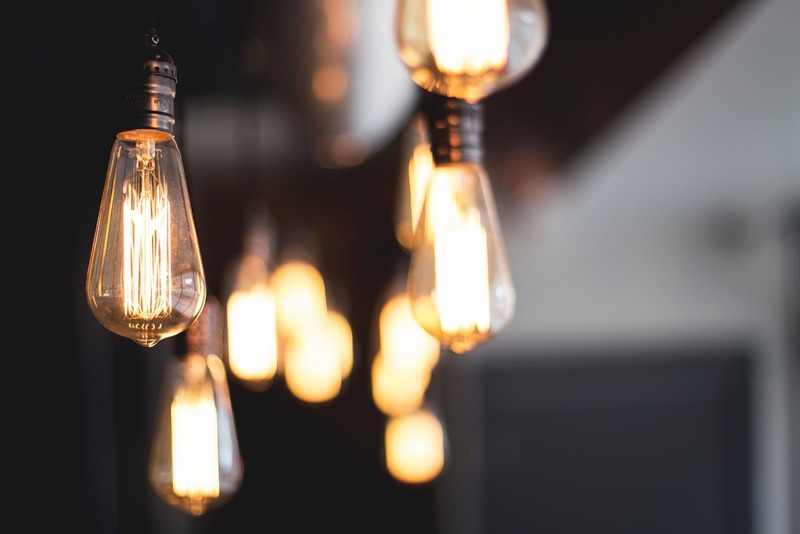 It is most commonly accomplished with a portable lamp, such as a floor standing or desk lamp, but you will usually find it in the kitchen as undercabinet lighting. From the entrance, walk into and through your home and assess how welcoming each room is upon entering. Does anywhere appear dim or two bright at first glance? Welcoming lighting should be comfortable on the eyes, so that you needn’t have to adjust to it whilst in the room. Positioning a mirror close by to a light source will help to bounce the light around the room and into any stubbornly dim corners, as well as creating the illusion that the space is much bigger than it actually is. Sometimes, you don’t need to put an extra lamp or lighting fixture there – all you really need is a well-placed wall mirror. 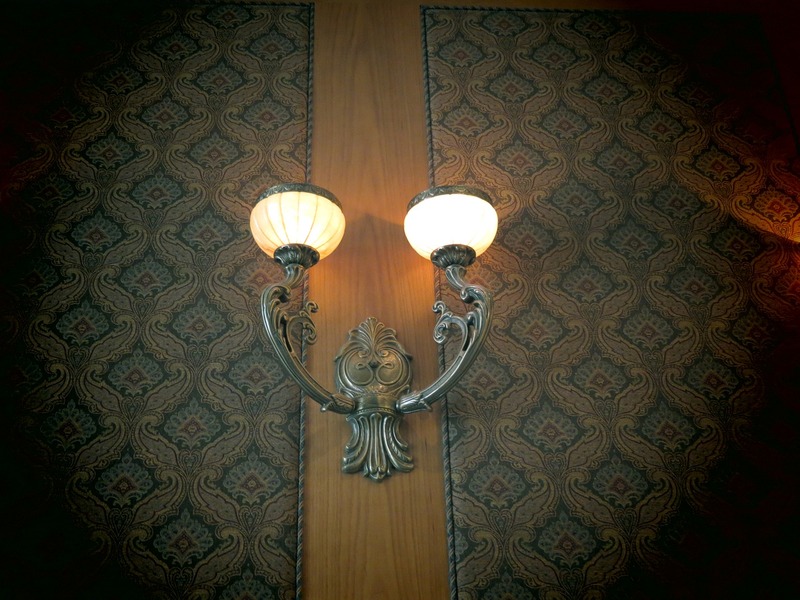 Sconces placed at approximately head height are far more flattering than sconces that are too low or high on your wall, due to the shadows cast on your face. This is essential when placed sconces in areas where you will be standing close to them, such as in the bathroom or down narrow corridors. Don’t be afraid to mix and match different lighting methods and styles. This is what will give your room character. There’s more to lighting than “on” and “off”. Ambient lighting with dimmer switches allow you to choose how bright you want it to be, because different activities or occasions call for different levels of brightness. If you don’t have a dimmer switch, this is when additional lighting in the way of floor lamps and portable lamps can really help when it comes to creating the best lighting for the occasion. Get that candlelight glow – without the fire hazard! Lamp shades come in an assortment of different styles, not just the old-fashioned conical ones with the floral print! There are many contemporary styles of lamp shades, and they all work to diffuse the light to prevent glaring and instead cast a more even illumination across the room. 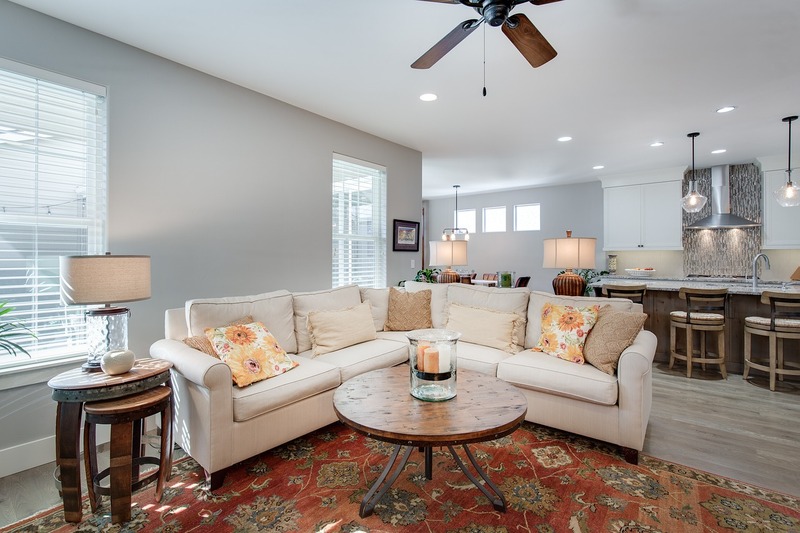 Overhead lighting works best in areas with little floor space or surface space. When using pendant lights for task lighting, a good rule of thumb is hanging it 35-40 inches above your work surface. Warm lighting isn’t only more flattering than cool lighting but it’s also more comfortable on the eyes as ambient lighting. Though portable, floor lamps make a bigger visual impact than table lamps. They may not be popular for rooms where limited floor space is a concern, but are a great addition to large open plan rooms and can even help to define different spaces – such as the seating area of an open plan dining/living room and kitchenette. Table lamps are often placed on side tables however they lend themselves well to task lighting due to their portability. You can place them on a table beside your sofa, bed, armchair, on anywhere where you may want some extra lighting from time to time to read or perhaps even complete a crossword puzzle in the evenings. You could also keep one or move one to the desk for those times when you do need the additional illumination from a lamp to complete other tasks. 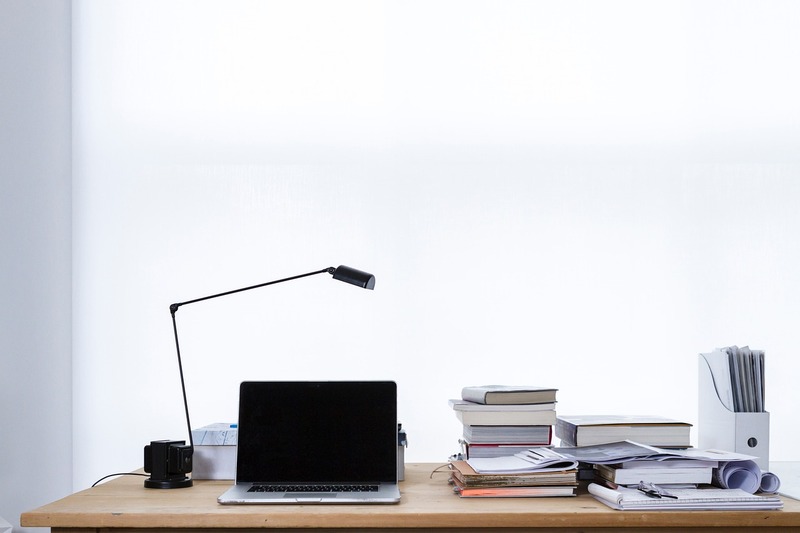 Swing arm lamps and desk lamps usually allow you to adjust the direction of the light for this purpose. If you require a task light for activities where you will need to inspect from multiple angles, an adjustable swing arm lamp is an ideal solution. Wall lights and wall sconces can complement the architecture of your home, if you strategically plan where you want them to be installed. They should be used sparingly, or may make your walls look too cluttered. Wall lights and sconces can add visual interest and highlight parts of your room that you would like to draw attention to – such as an accent table, console table or either side of a bookcase. They are a popular choice for accent lighting. 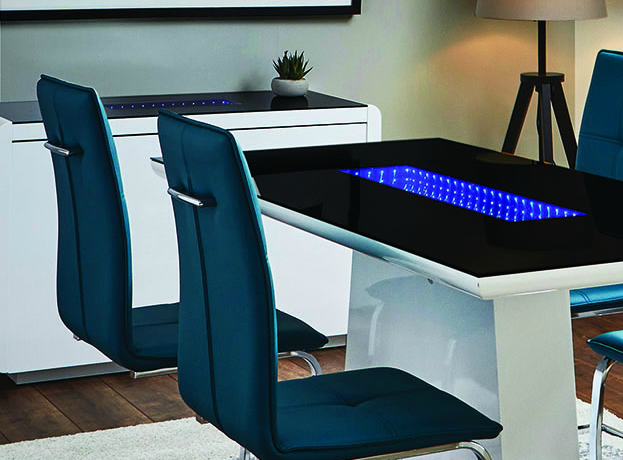 LED furniture adds unique accent lighting to areas of your home. You can buy furniture with built-in LED lighting, or decorate your home with LED strip lights in areas that you want to draw attention to. RGB LED lights can come in any imaginable colour to complement your colour theme, and can be held into place inexpensively with double sided tape. They can add a futuristic element to your home if used excessively, in bright neon colours, or in conjunction with glass and high gloss furniture. But LED lighting is not limited to just this style of aesthetic. Warm white LED lights tucked away discreetly for accent lighting or backlit shelves and cabinets can even complement more traditional rustic or shabby chic interiors. It all just depends on how you use it. 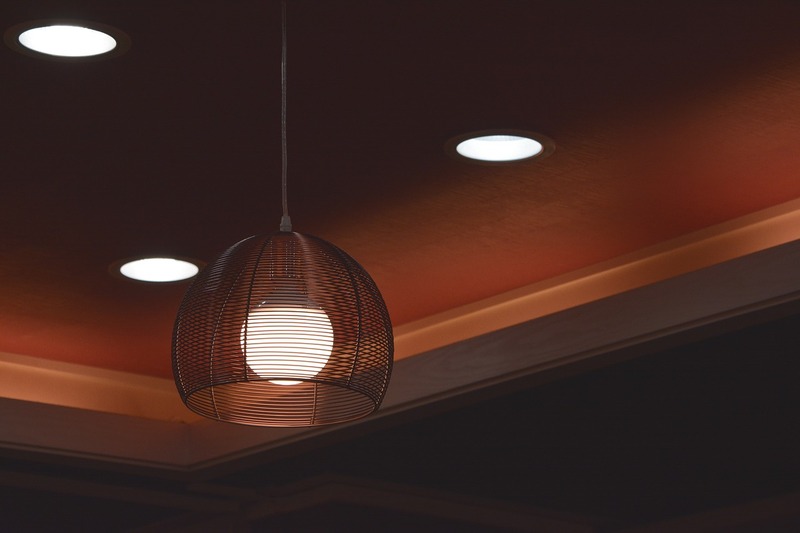 Recessed lighting is a great solution for ambient lighting that works well for all types of ceilings in any room. They are efficient in lighting up the room without drawing too much attention to the light fixtures themselves. They are most popularly used for “wall washing” as they can illuminate the entire surface of the ceiling or wall evenly, but can also be used for accent lighting when placement is limited to specific areas at the base of the wall (similar to spotlights). Hanging lights include fixtures such as chandeliers and pendants. Perfect for lighting a room with a taller ceiling, as you can choose how low you want to hang the light. 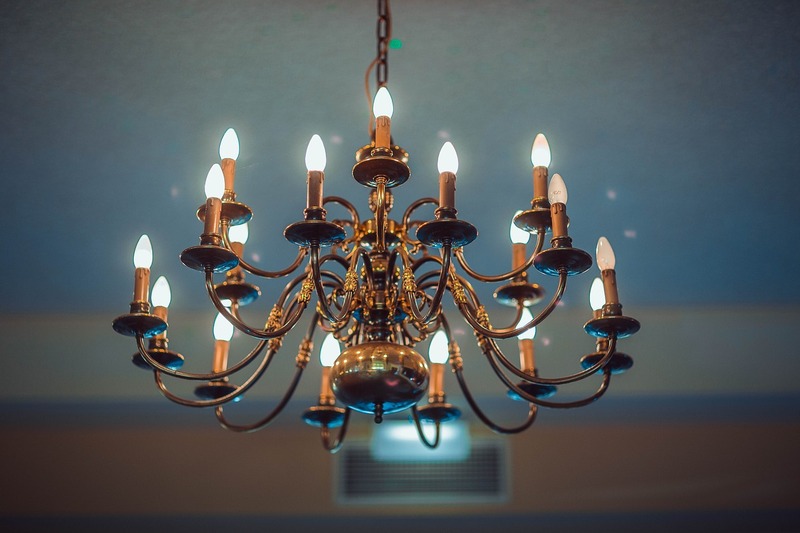 Hanging lights tend to command more attention than recessed ceiling lights, and you will therefore need to consider how the design of the light complements the décor and surrounding interior of the room. They work well as a focal piece in central areas, such as over a dining table or living room seating area.